One distributor told me a story about his company’s participation in a job fair. There was a lot of traffic at all the booths except theirs. When participants got to their booth, they quickly walked by before anyone could approach them. It seemed they had no interest in learning about opportunities in wholesale distribution. In fact, many distributors face similar challenges in attracting new employees – especially younger ones – to the industry. 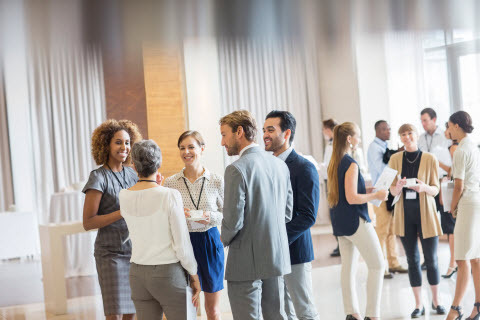 The ASUG Special Interest Group for Wholesale Distribution will be hosting a roundtable on this topic, “Attract and Hire the Best: A Wholesale Distribution Discussion.” This open discussion will give distributors a chance to share the problems they face and to learn about the practical solutions that have helped others. It promises to be a thought-provoking hour! Part of the battle for finding and hiring the right people is having the right tools and strategies in place. Some solutions will be discussed in the session “Attract the Best Talent with a Candidate-First Approach to Recruiting.” It is scheduled to include a best-practice candidate experience, from source to hire. To hire the right people, a company also needs to understand what talent is needed, for today and for tomorrow. With the distribution workforce aging, companies are not only looking to fill open positions, but also to hire and retain the skills needed for the future of their company. This means a broad range of ages and skill levels, possibly spread across regions and time zones. The session “Increase Competitive Advantage by Reimagining Talent Management” will talk about filling critical positions and managing talent for the long-term. The industry is also seeing an upsurge in external workers – contract employees, temporary workers, and more. While hiring the right people is important, it’s equally important to manage all the various workers and skills, whether they are on the payroll or not. This concept of “total workforce management” will be discussed in the presentation, “Achieve Total Workforce Management.” As companies reimagine their business, it’s critical to have a full view of the workforce. There is so much more to see, but unfortunately, SAP SAPPHIRE NOW and the ASUG Annual Conference lasts only three days. I hope to gain insight and hear real-life examples of how distributors are facing the people challenge. If you attend the event, I hope you do too.